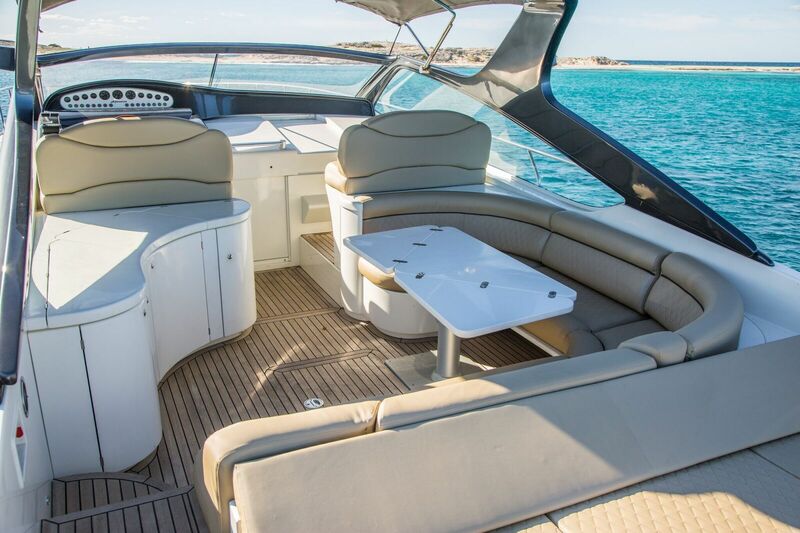 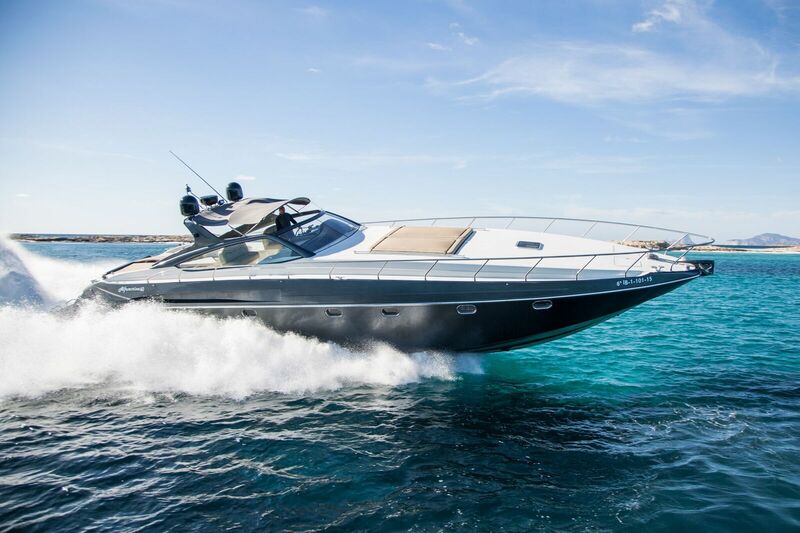 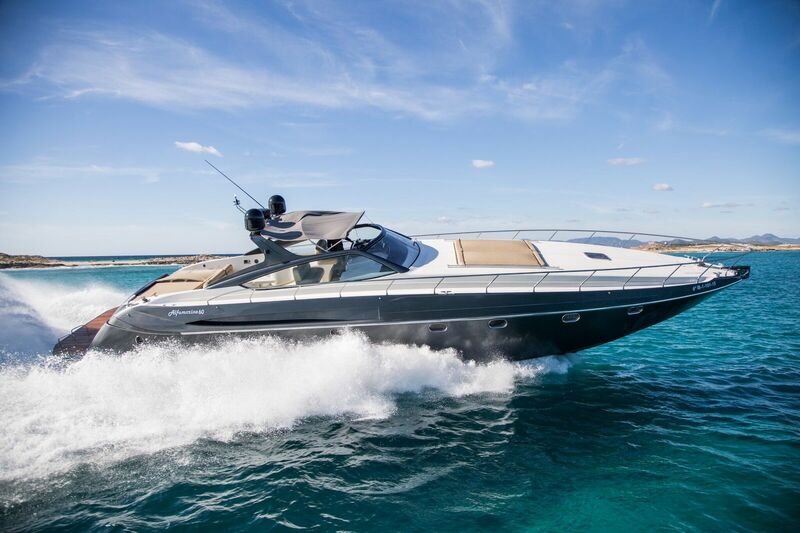 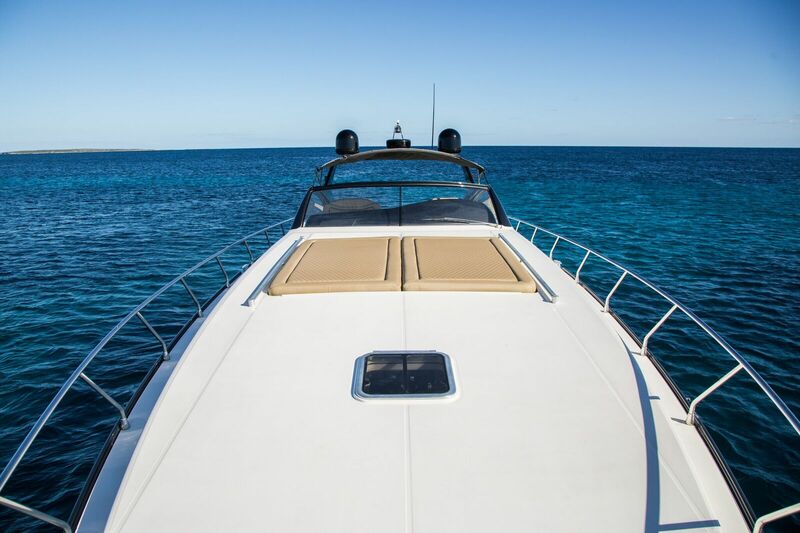 Luxurious and fast, this boat reaches speeds of up to 50 knots in pure style. 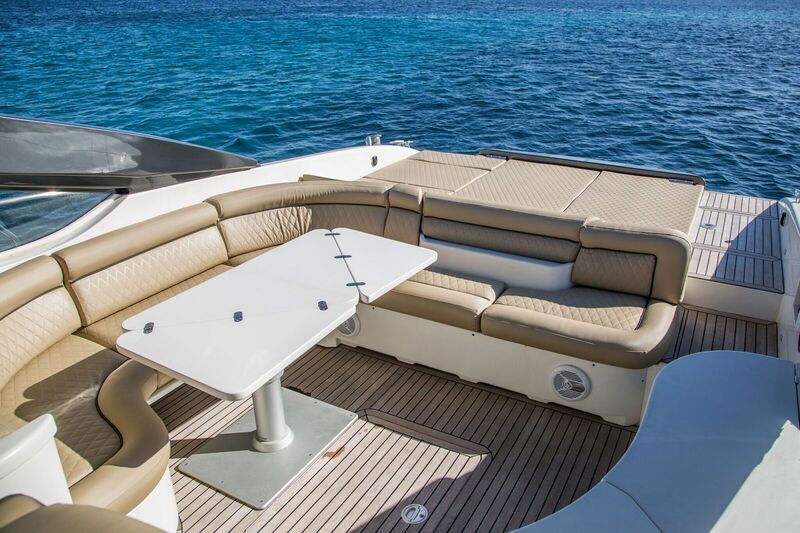 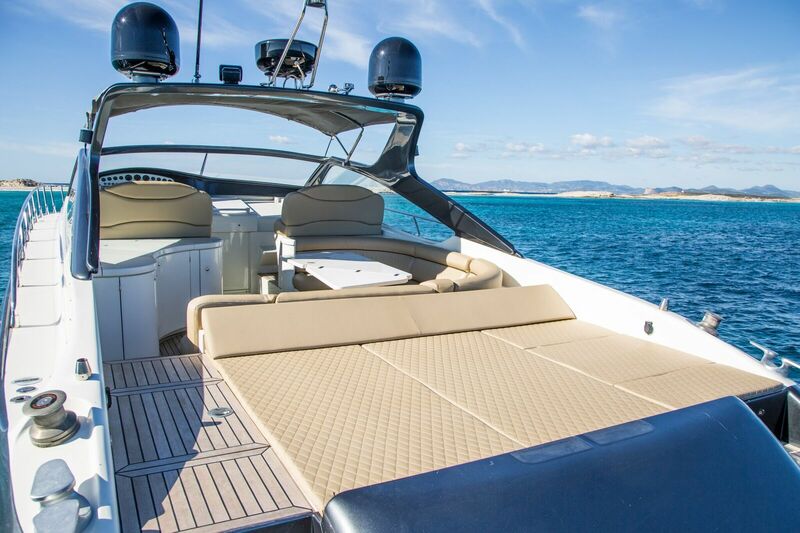 The enormous deck boasts large sun-beds at the front and rear, a wrap around sofa with outdoor dining table, exterior shower, refrigeration and sunshade. 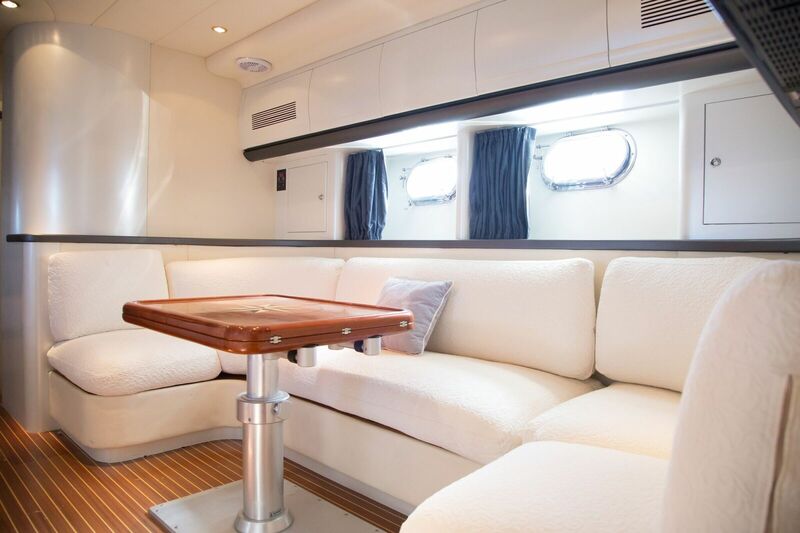 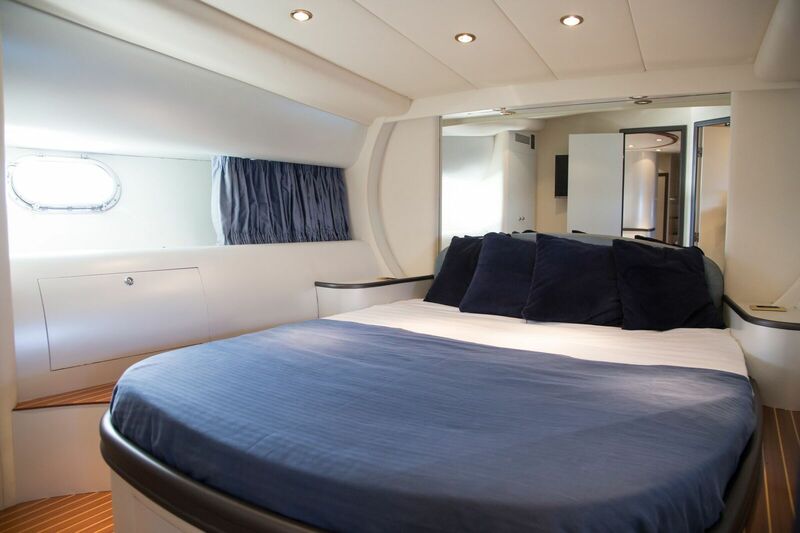 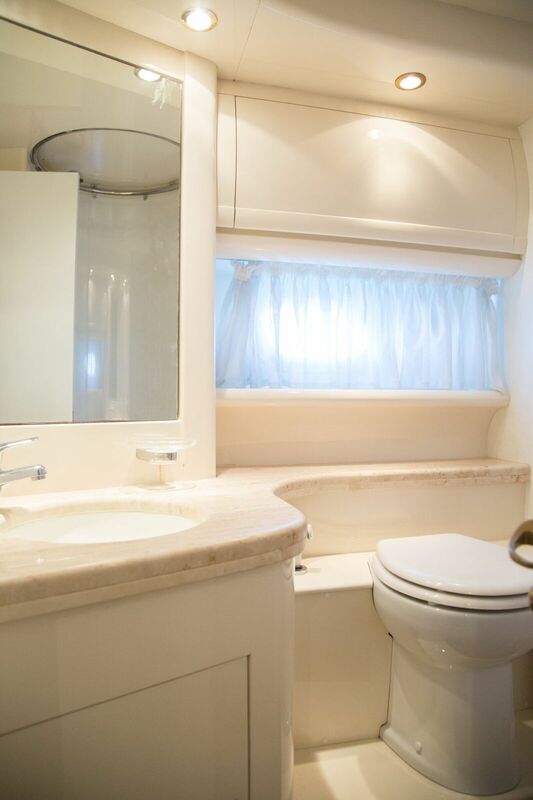 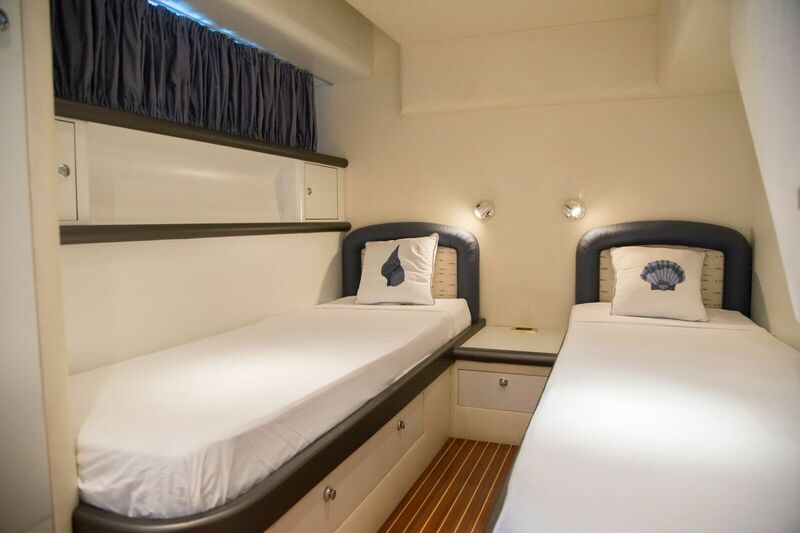 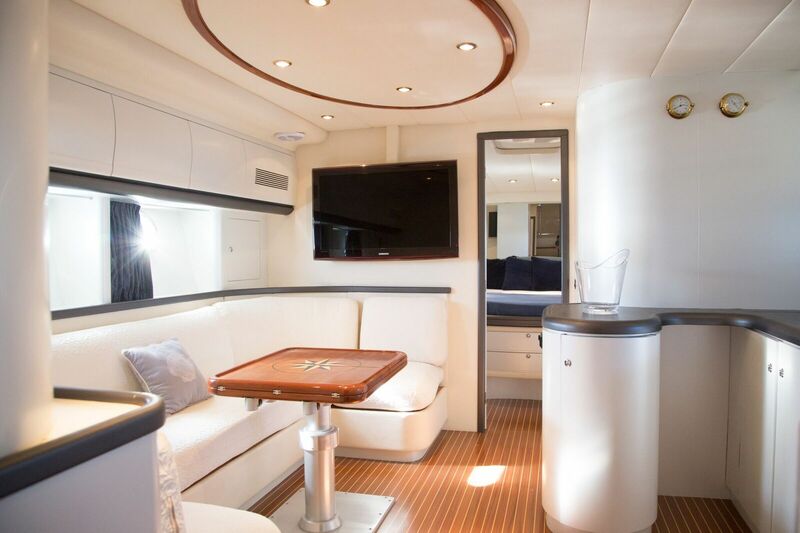 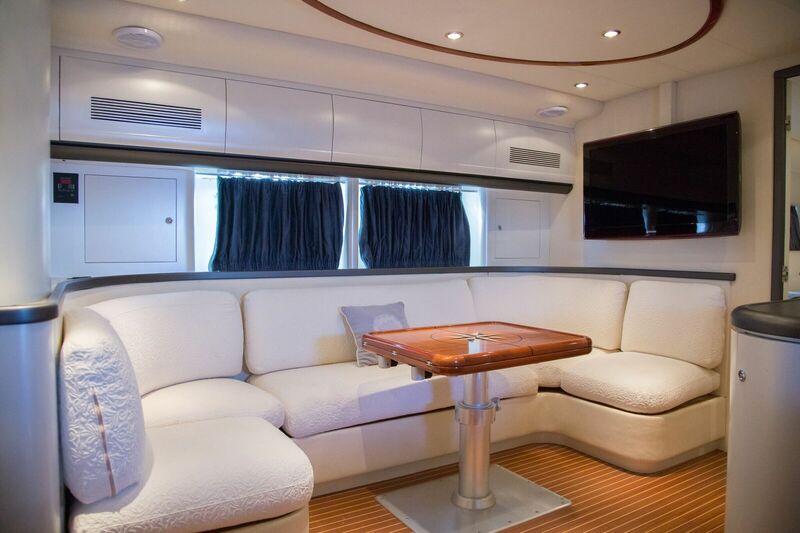 Inside her plush interior are three double ensuite cabins, a living room with an extendable table and a hide-away TV. 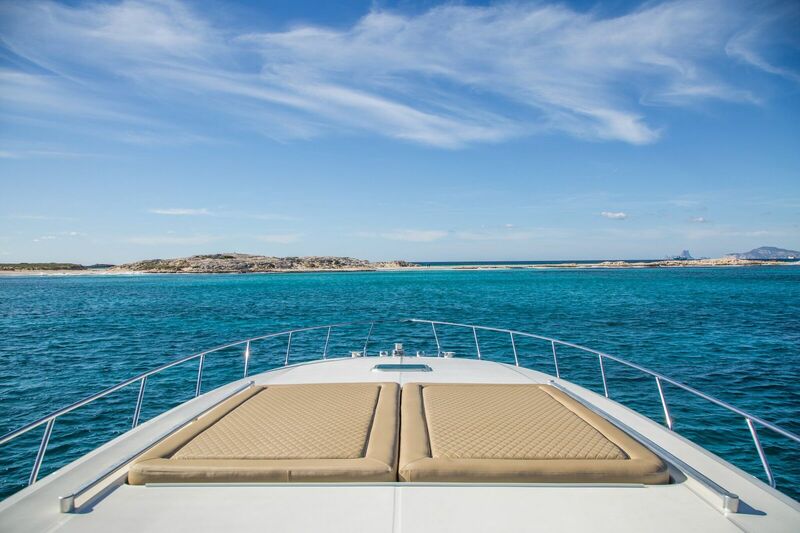 A glamorous way to enjoy your time in Ibiza. 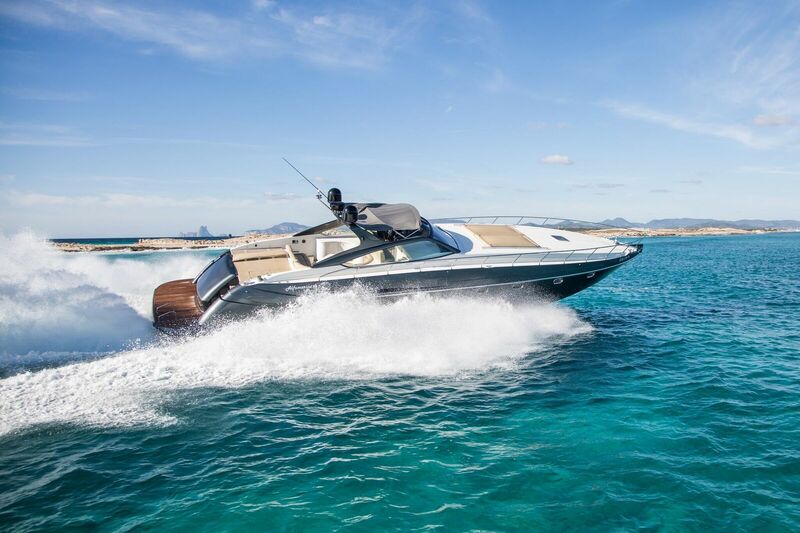 The Alphamarine 60 is now being completely refitted, updated to a 2016 state-of-the-art vessel; new exterior, new interior and completely overhauled MTU engines. 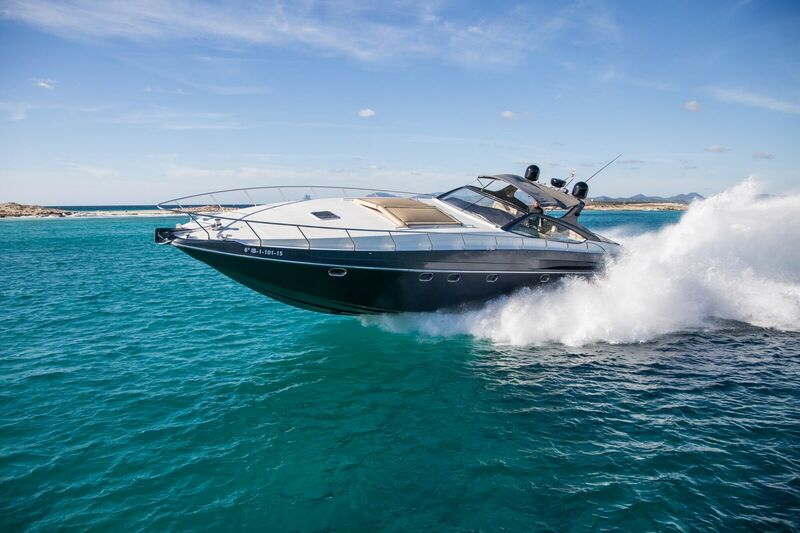 Interested parties have the option of customising the vessel in the colours of their choice within the next 7 days.